If you are an American Citizen, you should recognize these two phrases. The first is the beginning of the Declaration of Independence. 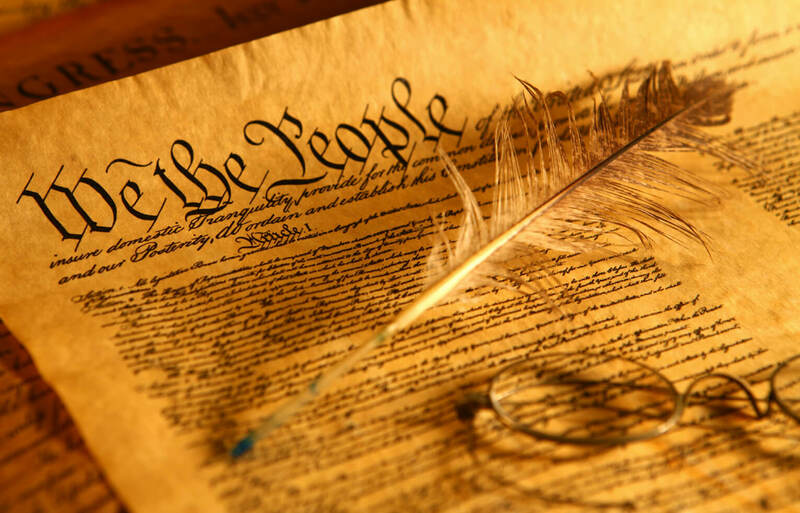 The second is the opening to the Constitution of the United States of America. I am proud of them both and the men who had the courage to draft them. Though they may not be popular today, and so many are trying to slander the men who wrote them, they are a testimony of a group of people who came out of tyranny into freedom. It may be hard for modern Americans to appreciate or understand either of these documents, but for Christians it should be easy. I use that word, “should”, because for most of us we don’t. There are many Americans who wouldn’t be able to identify either of these documents, and sadly even more Christians who don’t even understand that they have won freedom from the tyrant. I guess I can’t really blame the Christians after all they don’t teach that kind of history at school, Biblical History. However, it’s time to educate ourselves! Here is a simple lesson. Adam (and Eve) disobeyed God. From that day on mankind had lived under the tyranny of Satan. Each person born is born into sin, they have a sin nature and Satan is their ruler. It’s not my fault! I hear you thinking. Original sin may not be your fault, but what makes you so sure you wouldn’t have done the same thing, or sinned in a different way, sin is sin? You may have been born with that nature, but you don’t have to hang on to it. Keeping it is your choice. If you still have it, it is your fault. There is a way to change your nature; in fact you can be given a brand new one. God has made a way for you to live free. You don’t have to live under Satan’s tyranny any longer. Shall we take another look at some of those verses in Romans 5? One man may have messed it all up, but One Man fixed it all. Yep, all. It’s finished. All you have to do is declare yourself free. Speak out your own “Declaration of Dependence”. Declare yourself dependent on God, on His plan of salvation for you, and Jesus’ work on the cross. Then line yourself up with your new Constitution. What is that? Your Bible. It lists every right and responsibility that is yours as a citizen of Heaven. They are unalienable rights that have been endowed by your Creator. I know that is a very simple way of looking at Salvation. So what, it was never intended to be complicated. We complicate things. Look what we have done to the Constitution of the United States. Those founding fathers wouldn’t recognize it now either. Let’s recap: once you were a slave to your flesh and under Satan’s rule. Christ died for you and now you have been made free. He has given you all authority to walk as a son of God. The only thing stopping you from doing that is you. Easier said than done? Maybe sometimes, but that won’t keep me from trying. My faith isn’t in me, it’s in Him. I may not be able, but He sure is. I am free! So are you. If that doesn’t get you excited then nothing will. This entry was posted in Thoughts and tagged Christ, christian, Christianity, faith, forgiveness, freedom, God, God's love, God's nature, God's word, new creation, Salvation, sin nature.